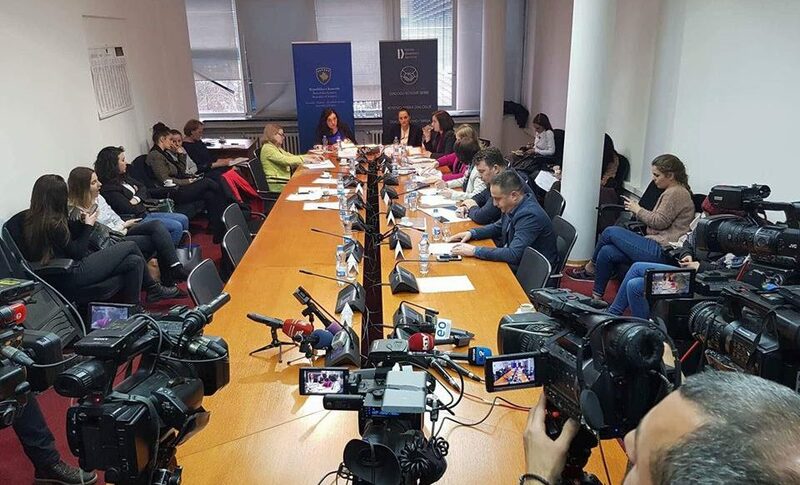 The Kosovo Democratic Institute (KDI), in cooperation with the Committee on Foreign Affairs, Diaspora and Strategic Investments, held today the third coordinating meeting of the chairs of Parliamentary Committees of the Assembly of Kosovo on the oversight role of the Kosovo-Serbia dialogue. Initially, the representatives of the committees present at this meeting discussed the committee’s activities undertaken by the second meeting on oversight of the implementation of agreements involving invitations of ministers to report, parliamentary inquiry requests and on-site visits. The need for increased transparency and the need for general agreement on the red lines of Kosovo in the dialogue process was emphasized and a number of recommendations related to this process were highlighted. In this regard, it was emphasized that all parliamentary committees include in their work plans issues related to agreements that simultaneously fall into their scope and carry out field visits regarding the oversight of the implementation of these agreements. It was also recommended that a joint letter of parliamentary committees be drafted to the Government of Kosovo regarding the new phase of the dialogue, announcing the Assembly about the state delegation of Kosovo and the new negotiating platform. Another recommendation relates to the initiation of a resolution by the Kosovo Assembly on the new phase of the dialogue, so that the president addresses the Assembly to inform this institution about the meetings it has had so far with the President of Serbia about the Kosovo-Serbia dialogue. It was also recommended that an inquiry commission be set up to investigate the agreements reached so far within this process. During the meeting it was said that the Assembly was left behind by this Government in the dialogue process, and was asked to return the dialogue to the Assembly, where parliamentary committees will play a more active role, and where transparency and accountability will be promoted. In the end, it was underlined that regular Assembly consultation and inter-institutional coordination remains extremely important, especially when a legally binding agreement is expected to be signed and subsequently ratified by the Kosovo Assembly.